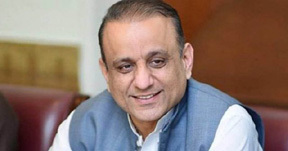 LAHORE: The National Accountability Bureau (NAB) acquired physical remand of arrested Pakistan Tehreek-i-Insaf (PTI) leader and former provincial minister Aleem Khan from an accountability court on Thursday. 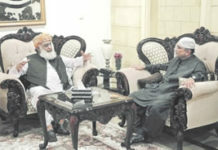 NAB prosecutor Waris Ali Janjua represented the anti-corruption watchdog, while Advocate Azhar Siddiq represented Khan. Khan’s remand will expire on Feb 15. Aleem Khan, who is known as a major financier of the party along with Jahangir Tareen, came as a bombshell for the party as its members believed that he had been appearing before NAB since the PML-N was in power, and that he could explain the sources of his wealth. The PTI leader is facing multiple inquiries, including one involving offshore company Hexam Investment Overseas Ltd, one for owning assets beyond his known sources of income, and inquiries into his involvement in the Park View Housing Society, River Age Housing Society, and Multan Road. Aleem Khan was taken into custody by National Accountability Bureau (NAB) officials in Lahore on Wednesday. As per a press release issued by NAB Lahore, Khan was arrested for owning assets beyond his known sources of income. According to detail, the offshore companies included R&R International and FZC. Aleem Khan had started a real state business in which he invested tens of millions of rupees. He bought 900 kanals of land and a further 600 kanals of land through a company set up for this purpose, A&A Private Limited. The senior minister was arrested a day earlier for owning assets beyond his known sources of income. NAB press release suggest that Khan faces multiple inquiries, including one involving offshore company Hexam Investment Overseas Ltd, one for owning assets beyond his known sources of income, and inquiries into his involvement in the Park View Housing Society, River Age Housing Society, and Multan Road. 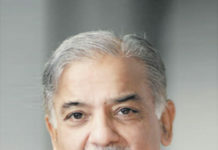 It alleges that he acquired assets beyond his known sources of income while misusing his authority as general secretary of the Park View Housing Society and as a past member of the provincial assembly. Earlier, PTI leader said that he had provided the details of his assets to the Election Commission of Pakistan (ECP) and the Federal Board of Revenue (FBR). “I never ever committed corruption of a single penny or held a piece of land in Khyber Pakhtunkhwa,” he clarified. It is to be mentioned here that NAB had initiated probe into Aleem Khan’s offshore company on order of Chairman Justice (r) Javed Iqbal after he was named in Panama Leaks in April 2016 among 435 Pakistanis.